Helps us work with your learning abilities. Helps us understand your mindset as you are approaching your studies. I understand that by submitting this form I am registering in a Bible College that offers only Religious Degrees that are accredited by Accrediting Commission International. 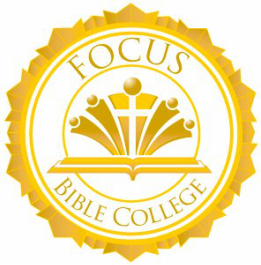 (Not recognized by the U.S. Department of Education therefore credits may not be accepted by Secular Education Institutions) Our students have had no trouble at some Christian Colleges/Universities with acceptance for like courses however this is between the student and the institution with no guarantees expressed or implied by Focus Bible College.